Though there is demand for top-qualified applicants looking to secure a career with the Connecticut Department of Energy & Environmental Protection and the U.S. Fish and Wildlife Service, game warden positions are highly competitive and aren’t just being handed out. The role is physically and mentally demanding - individuals at the state level may have a jurisdiction that matches the boundaries of their county, whereas federal employees may manage an even larger region of the state or a national preserve. Job responsibilities are extremely varied and may include giving testimony for criminal or civil offenses, search and rescue, tracking data on fish, bird, and wildlife populations, and educating the public about conservation issues. Game wardens should, of course, enjoy the outdoors, and have a passion for protecting the public and our nation’s natural resources. An applicant can expect to go through an extensive waiting period, apply to multiple agencies, and to be subject to an intensive interview process to ensure they are the best candidate for the job. This makes it all the more important to have a full understanding of the hiring process. Read on to learn more about becoming a game warden in Connecticut. The role of Game Warden has been greatly expanded in recent years in the state of Connecticut. Currently known as Environmental Conservation Police Officers in the state, game wardens have a strong sense of duty to protecting the state’s natural resources. Sometimes referred to as “EnCons,” they enforce hunting and fishing regulations, advocate for conservation, and check licenses. They also support local law enforcement units and Coast Guard operations addressing criminal activity within their jurisdictions. In addition to extensive officer training, each Connecticut EnCon also enforces federal regulations through the National Marine Fisheries and the U.S. Fish and Wildlife Service. Officers also promote and coordinate hunter education and firearm and boating safety, and collect and report population data for fish and wildlife in their native habitats. The challenging nature of the job means that candidates must be well-prepared. Listed below are the minimum qualifications needed to join the Connecticut Department of Energy and Environmental Protection as an EnCon. Citizenship: Proof of U.S. 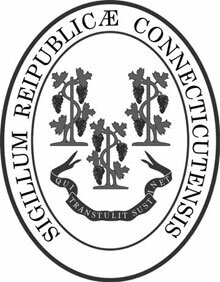 Citizenship or naturalization documents are required License: A valid Connecticut-issued driver’s license is required. Having no record of domestic violence. Academic Credentials: Completion of high school or GED is required. To become a full-fledged game warden with the DEEP, trainee candidates need to have three years of experience working as a law enforcement officer with the DEEP, two of which may be substituted year-for-year with any of the following college education subjects: Natural Resource Management, Recreation Management, Biology and Biological Sciences, Agriculture, or Law Enforcement. Previous sworn law enforcement experience or experience working with wildlife conservation, commercial shell fishing, forestry, farm management, or fish culture may be substituted year for year with two of the three years of experience as well. Hearing: The applicant must be able to hear with or without hearing aids, including long distance, directional and voice conversation hearing. Vision: The applicant must have vision with both eyes, with or without corrective lenses or contact lenses. Physical Readiness: The applicant must successfully complete a physical readiness test showing that he or she is in ‘good physical shape’. Applicants must successfully complete each component of the physical readiness testing. Candidates must also know how to swim with competence. Psychological Condition: The applicant must be in suitable psychological and emotional health to proceed with the hiring process. The Connecticut Department of Labor reported that the median salary among the state’s game wardens was $56,243 ($27.04 hourly) as of 2016. Experienced conservation police officers are paid salaries that put them within the top 10% of the profession, earning an average of $61,433 ($29.54 hourly), while those new to the profession earned an average of $45,698 ($21.97 hourly) that year. Salaries for game wardens in Connecticut have been rising steadily, with the average pay increasing by more than 9% between 2011 and 2016.